Spring has come again, and with it one of my favorite holidays – the 23rd annual UN World Water Day was this past Sunday. This holiday is organized to raise awareness about the importance of freshwater and other resources needed throughout the world. 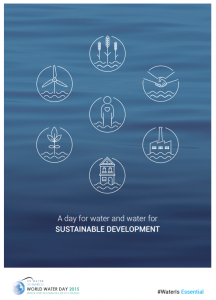 This year’s theme was “Water and Sustainable Development,” and focused on how water is the core of economic development and environmental sustainability. Freshwater serves as a key piece to the human ecosystem, and determines factors like health, energy and food. It also plays a major part in the development of major industries, urbanization and, in many developing nations, equality. Water is necessary not only for drinking, but for hand washing, cooking, and personal hygiene. The World Health Organization estimates that it would take 20 liters per capita per day to satisfy all these needs. Even with developments over the past few years, 748 million people do not have access to an improved source of drinking water and 2.5 billion are in need of improved sanitation facilities. The burden of collecting water falls heavily on the shoulders of women and girls. Instead of spending time generating an income or attending school, many spend up to 25% of their days collecting water for their family. A majority of water isn’t used for drinking or personal hygiene, though. Globally, the leading user of water is agriculture. Economic growth has also led to diet changes to more meat and dairy based diets, which require even more water. To make demands more sustainable, the agricultural industry needs to increase productivity of crops and try to reduce water loss as much as possible. Beyond human life, ecosystems play a key role in the global water cycle, and recognizing this is essential to sustainable water management. Despite the part it plays, many models do not plan for ecosystems, leading to an unsustainable use of resources and ecosystem degradation. To have successful management of resources, there needs to be a reevaluation of economic models and how we see relationships between ecological systems and manmade infrastructures, including water. With urbanization in many developing countries comes industrialization. While industrialization has many positive effects, like increases in productivity, jobs and income, industries do not always have water conservation high on their priority lists. When companies invest in efficient water treatment technology, the payback periods may not have the immediate results of short-term investments, however smart planning can reduce the use of water and improve the quality of the wastewater. Water and energy go hand-in-hand. Over 80% of power generation is thermal electricity, and energy is needed to transport water. However, many of the renewable energy sources that could be used do not require large quantities of freshwater, such as solar, wind and geothermal energy. Unfortunately, the use of these alternative energy sources is low and is not being adopted quickly enough to create a large impact. Each piece of water use plays a key role in developing a sustainable system of water use. Instead of creating separate plans for each use and each ecosystem, a successful model would seek the connections between all of these factors. 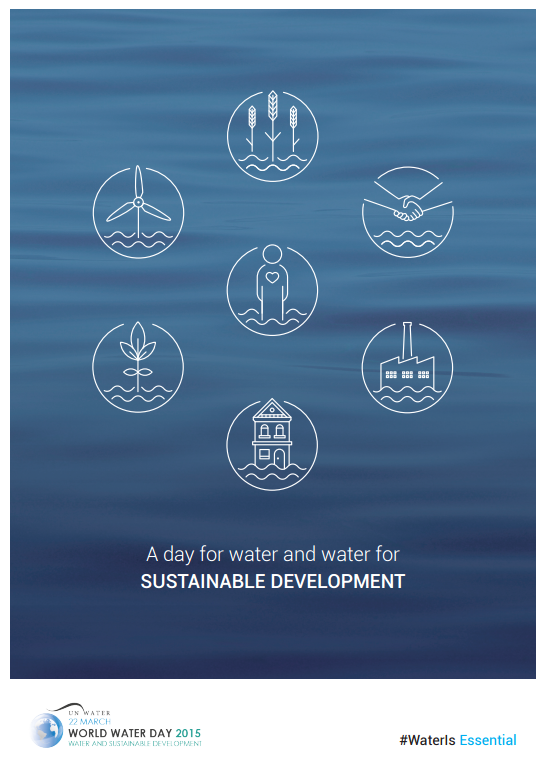 See what you can do to help, here at http://www.unwater.org/worldwaterday/.